Will SuperCam defeat the Von-ster ? Today marks the tip-off of the NFL season so I thought I would work on a sports related ds106 assignment. 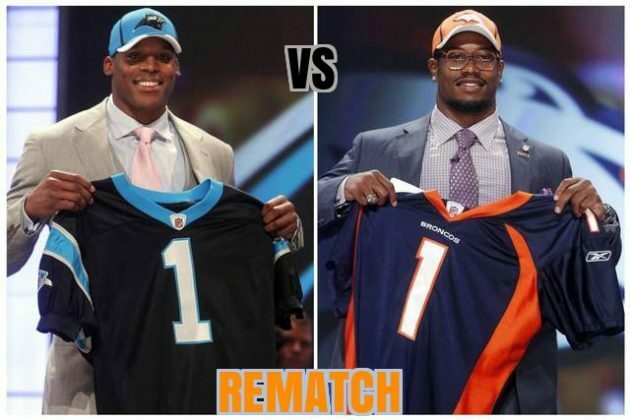 Shown is 2015-16 League MVP Cam Newton & his Panthers taking on the Super Bowl MVP Von Miller and his Broncos. With both team anticipating new teammates , the question stands which MVP will come out victorious? So that first game was a rough one for Cam. The refs let him get destroyed! Next Next post: COMEBACK SEASON!